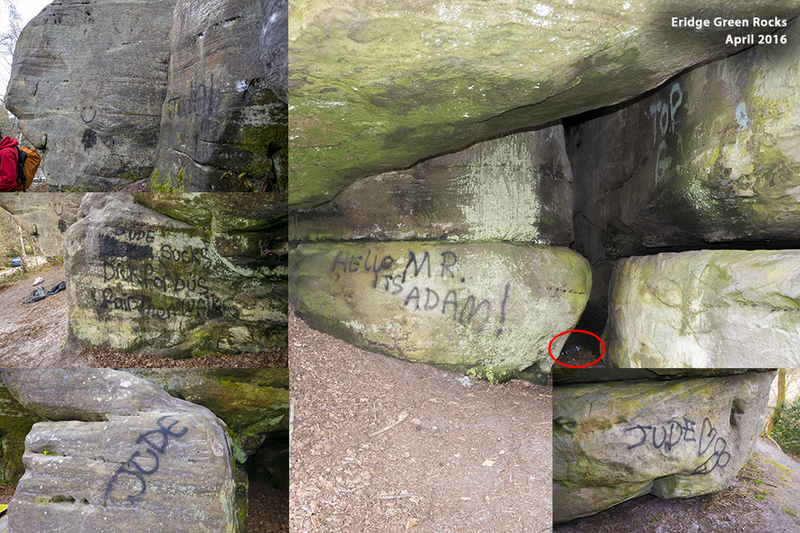 A recent visit to Eridge Rocks found us dodging dog faeces, viewing some rather unpleasant graffiti (no Banksy we can assure you!) and getting hooked on bolts. Apart from all the negative things just mentioned, Eridge Green Rocks is still a beautiful place to climb, with some excellent routes and boulder problems. Let's try and preserve it so we can all enjoy for years to come. painted in black, with bold offensive words, which look unsightly in such a beautiful woodland area. Incriminating evidence was found at the scene in the form of a black Games Workshop spray can. Taking a walk along the base of the rocks we were met by endless mounds of dog faeces. 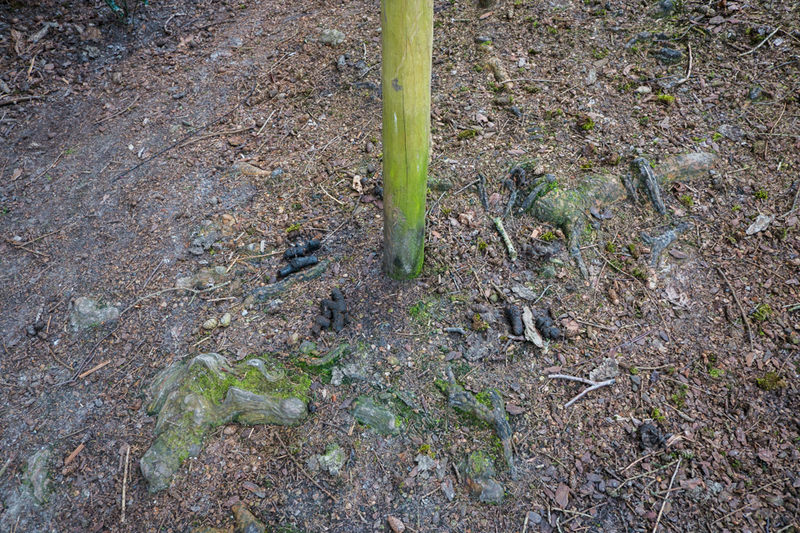 As we know not all dog owners are irresponsible, many dog walkers did have poop bags on them, but there are always some who spoil it for the rest and do not pick up. Everyone knows the feeling of dread when they step in dog poo and the emence amount of it found recently make the chances of this highly likely. Signs need to be put in place otherwise Eridge will soon become know as Dog S*** Rocks. Like all responsible dog owners know, ourselves included, picking up your dog's poo is a priority and we never leave the house without a pocket full of plastic poop bags. However there is a lack of dog waste bins in the area, being more specific there are none! Maybe if dog waste bins were added to the car park area then this may encourage more dog owners to pick up their dog waste. Saying this, there should still be no excuse for not taking your dog waste home with you! rocks. What are they? Are they being used for some sort of geological survey? Does anyone have anymore information what they are doing there? 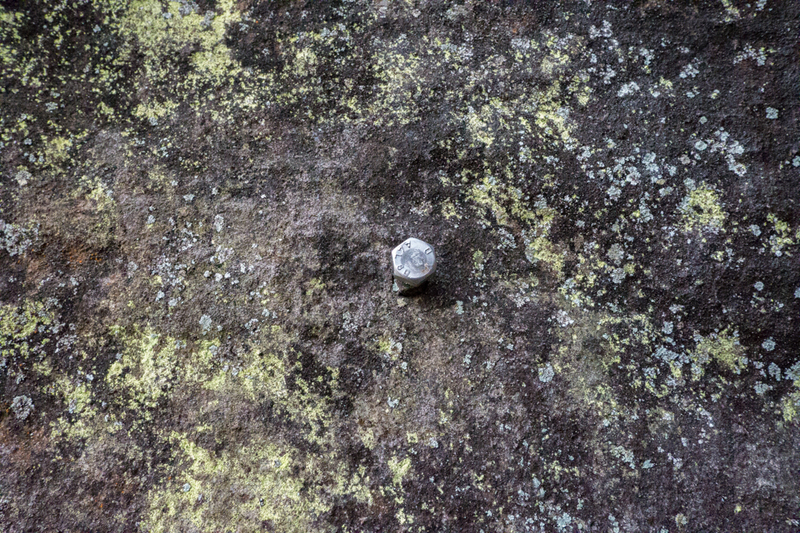 (UPDATE: The bolts are part of the monitoring programme for the lower plants). 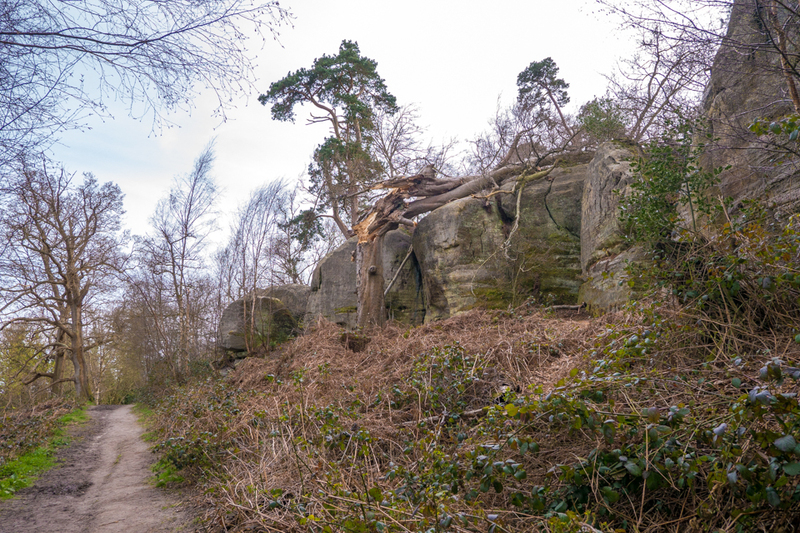 The tree overshadowing the first of the banned areas near the car park has dramatically fallen over onto the top of the rocks. Fingers crossed there has not been any significant damage to the rocks! It was also noted that there was a large amount of visiting cars to the car park with youths smoking Cannabis which could be smelt for miles! Should this area be put on patrol more to stop this behaviour, as smoking illegal drugs and driving do not mix?